After the many monitor tests, we have adapted our test system a little bit to sound out the UHD properties of the monitor also in the gaming area. The operating system was Windows 10 Professional 64 Bit Version 1809 (Build 17763.134). Let’s start now with the practice and switch on the monitor. 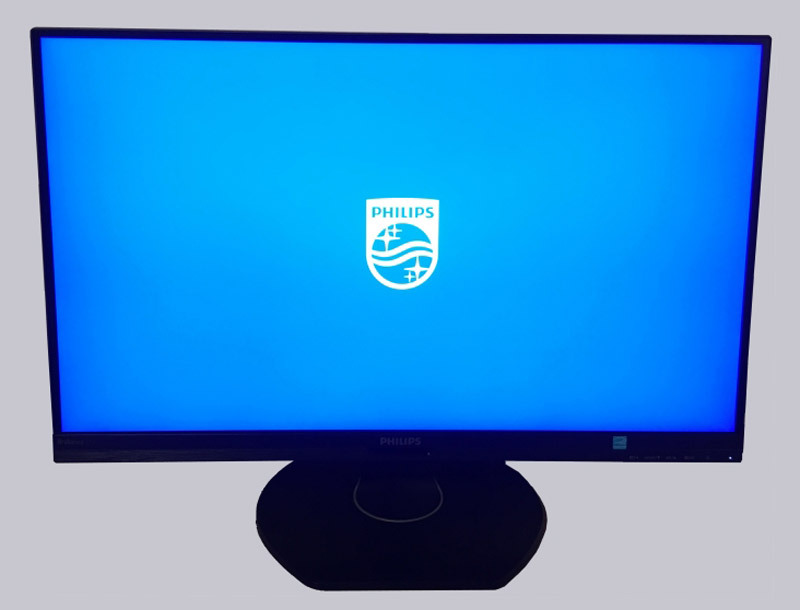 At the beginning we are greeted by a blue screen with Philips logo for about 4 seconds, afterwards the monitor switches to any active input, in our case to Displayport, but this is not shown separately via the OSD display. Very simple and discrete for its size, the monitor fits into our workplace. The extremely even illumination ensures relaxed working, similar to an e-paper display. If several input sources are connected to the monitor, they can be conveniently selected via the “User” button. Press the “OK” key to call up the actual OSD menu. The menu has a classic structure and can be switched through easily, but the meaningful order of the menu items can certainly be entertained. The first 3 menu items include the built-in sensors for energy consumption and ambient light as well as a mode to reduce blue light. We already know this feature from many smartphones to adjust the light for the eyes at night. The most important menu item for a monitor awaits us at “Picture”. Here everything can be adjusted at will, there are no open points in principle. 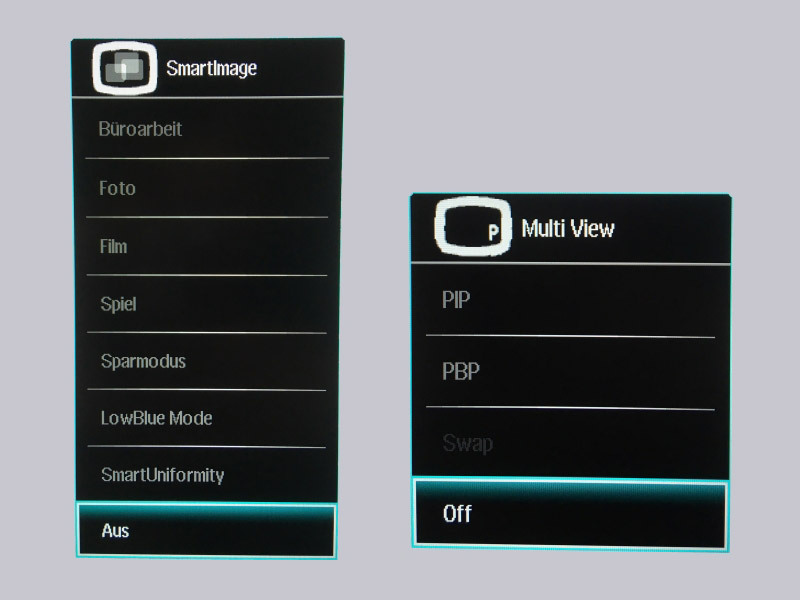 On the second page we will find more menu items like Picture in Picture, Audio, Color Settings, Language and OSD Settings. 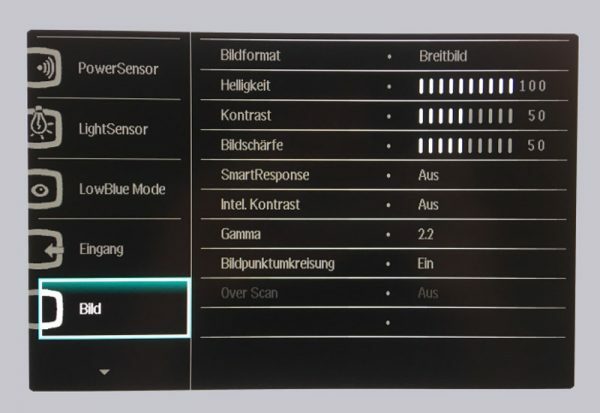 Finally, on the third page, the basic system settings of the monitor can be changed or reset again. 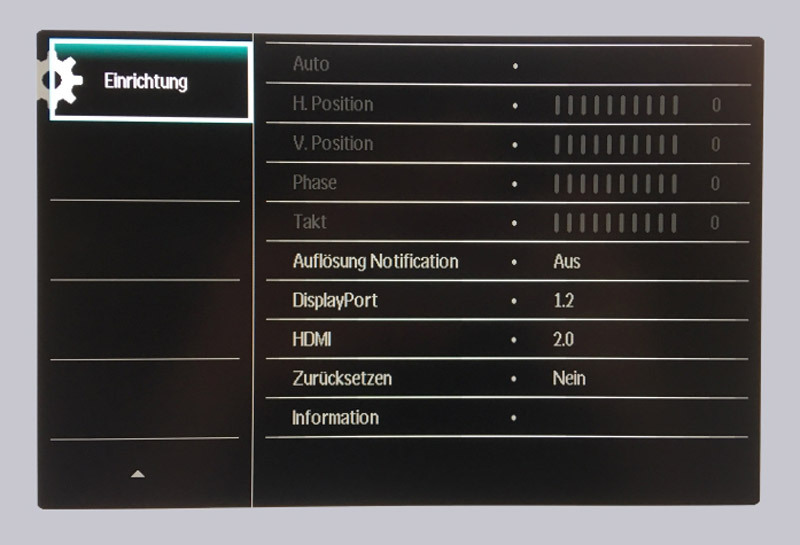 By the way, you should also mention that the 272P7VPTKEB/00 only supports Displayport 1.1 & 1.2. 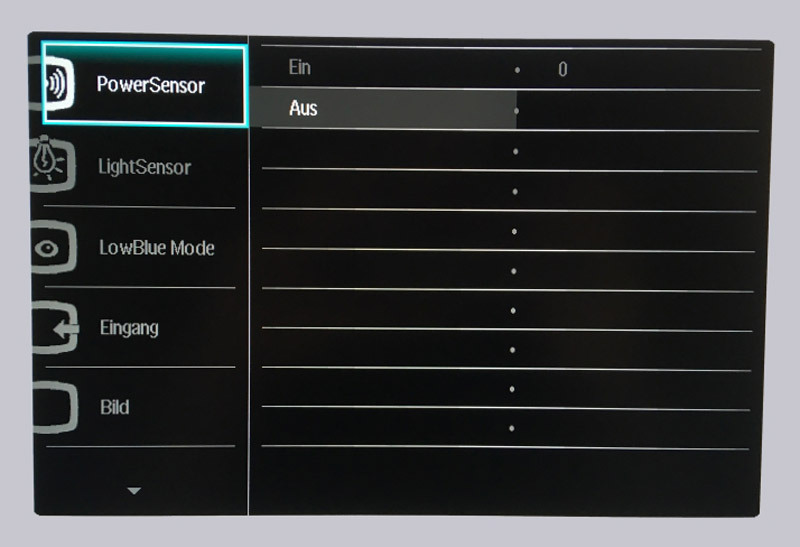 Therefore, it is only conditionally suitable for 4K 3D applications, as the FPS are limited to 30. 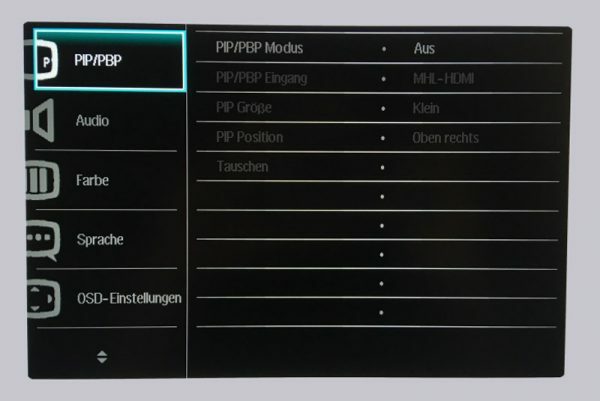 To get to the 60Hz you should choose the HDMI input, because version 2.0 is supported. 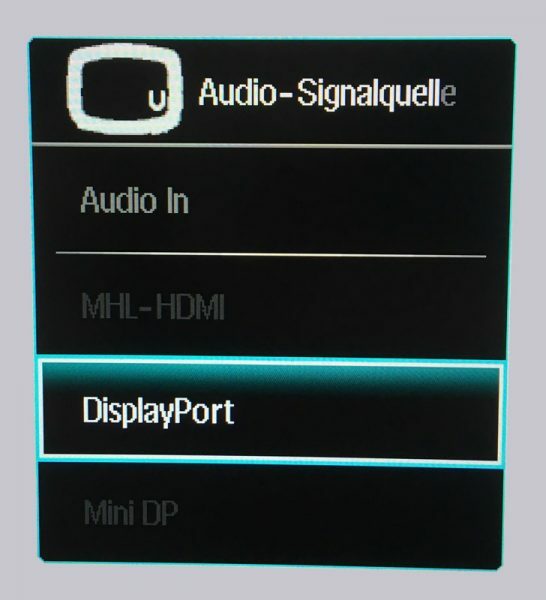 By the way, the HDMI port is MHL certified and is therefore also suitable for mobile Android devices. By using the keys “<" and "Multiview", one can finally choose between several preset picture settings or simply activate and deactivate the picture in picture function. Of course, the webcam must not go unmentioned. It has a resolution of 2 megapixels FHD and is sufficient for simple video conferences. 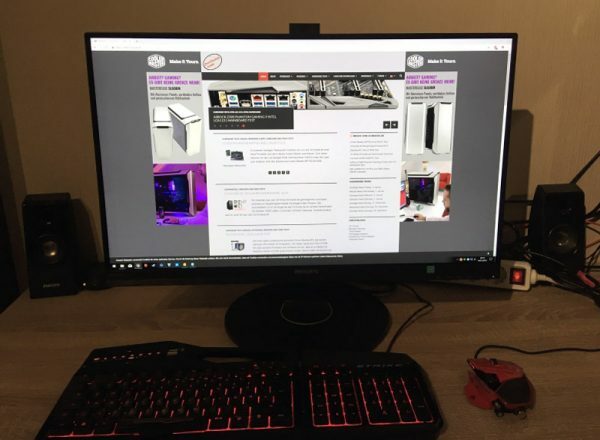 You shouldn’t expect miracles in terms of image quality here, because compared to the rest of the monitor, it unfortunately looks a bit cheap. Concerning the operation in Windows, we clearly recommend a 150% scaling due to the high UltraClear 4K UHD resolution of 3840x2160px, as the native resolution is basically unreadable at a normal seat distance of one meter. 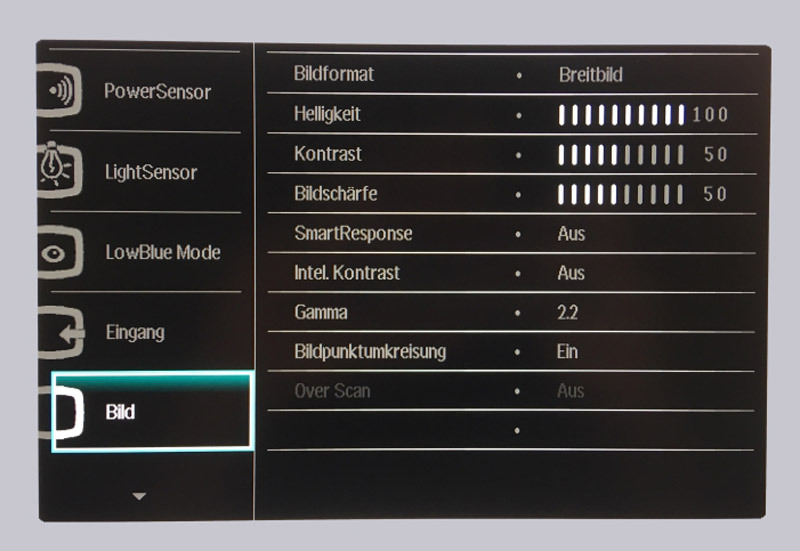 By the way, image processing is really fun with the Philips 272P7VPTKEB monitor, as you can take advantage of the high resolution and the 1.074 billion colors. Videos are also reproduced perfectly, and with the right video quality you can sometimes forget that you are sitting in front of a monitor. 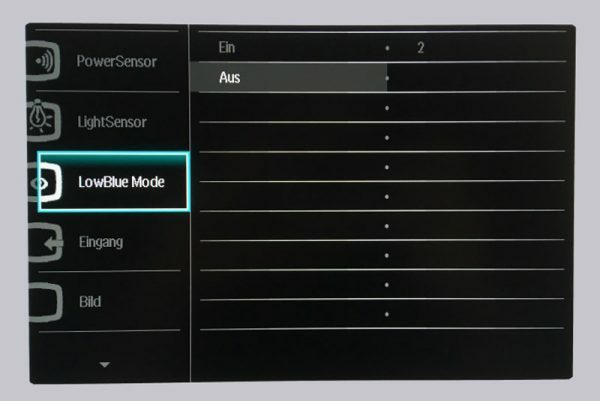 Here the Philips definitely knows about points. 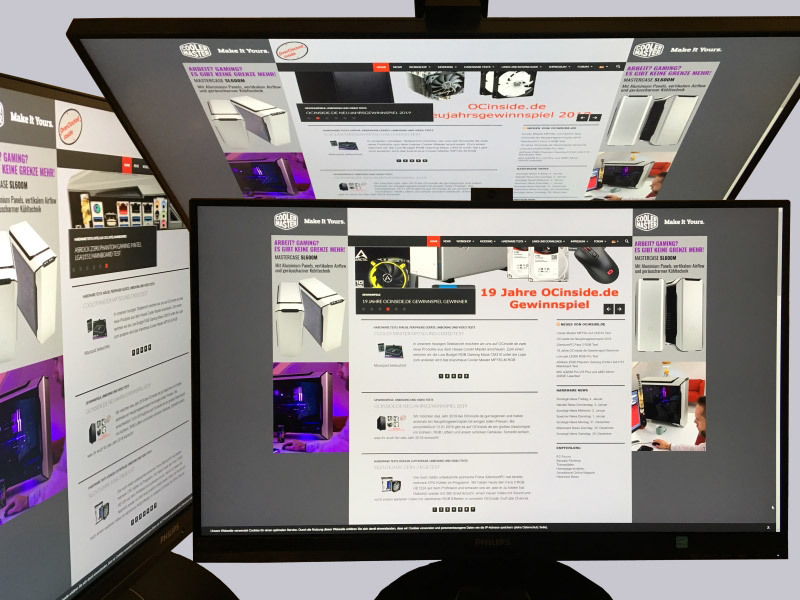 The IPS monitor is also convincing in terms of viewing angle. Unfortunately, the situation is different with regard to gaming: Neither G-Sync nor Free-Sync is supported. So if you hope for a reasonable gaming experience with fast games, you’ll be disappointed and have to reckon with microruckers despite a fixed 59 FPS. In addition, tearing appeared in various games in our test without V-Sync and FPS Limiter. It looks the same with the built-in loudspeakers: They are well suited for a rudimentary sound output, but not for more. Now we come to the conclusion of the Philips 272P7VPTKEB/00 review.